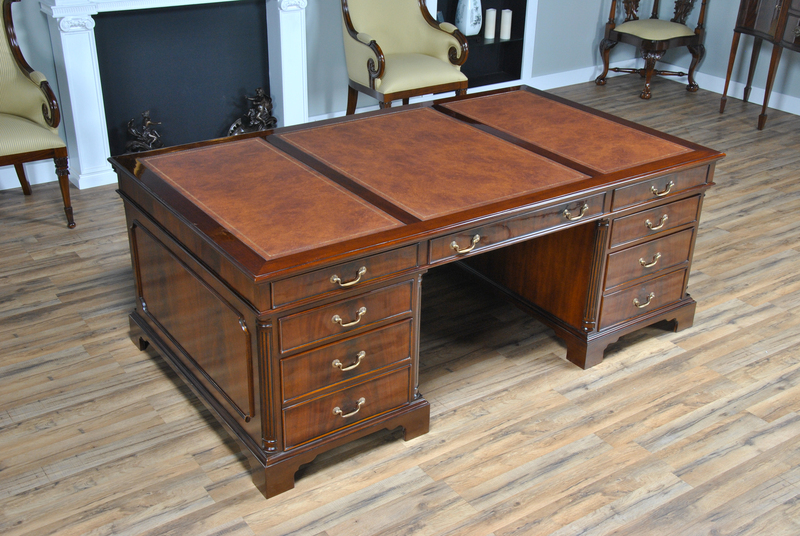 This is the Huge Partners Desk in the Niagara Furniture collection. 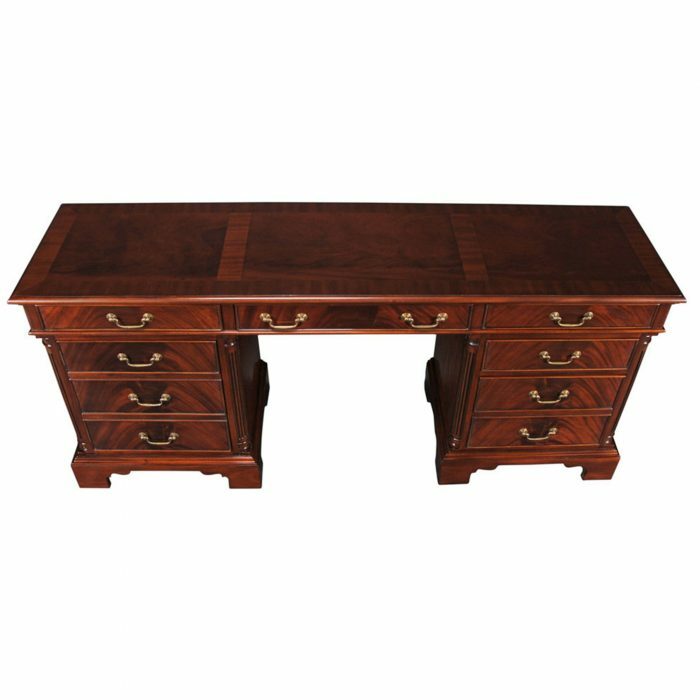 This desk behemoth matches a number of other pieces which we produce. 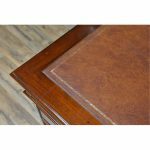 The fantastic solid mahogany top frame is inset with three genuine, full grain leather panels, each tooled with gold in a traditional pattern. 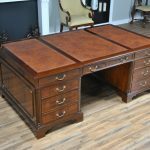 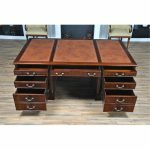 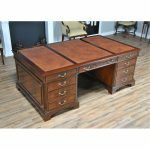 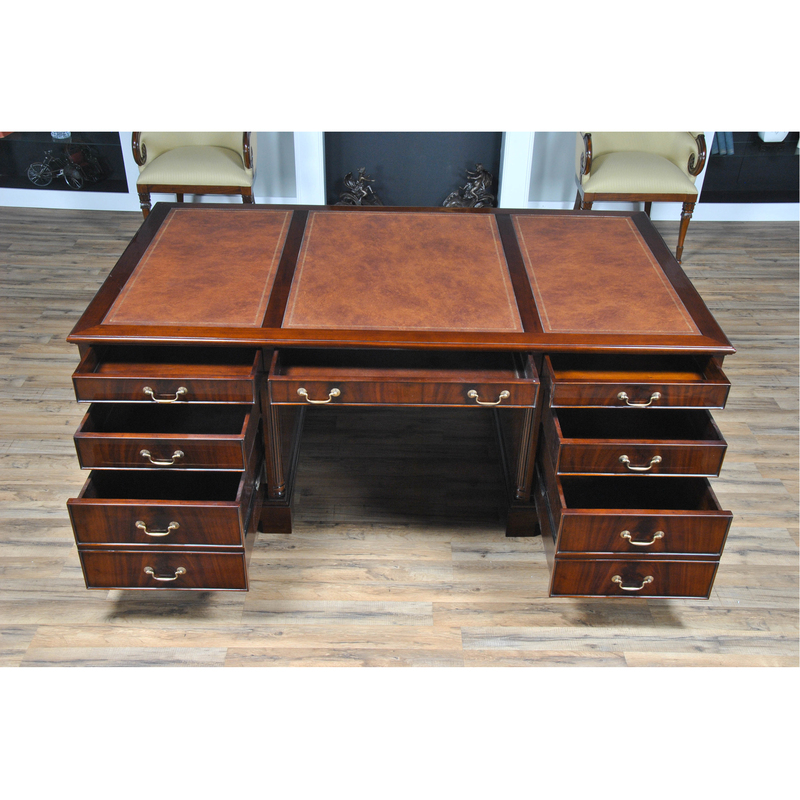 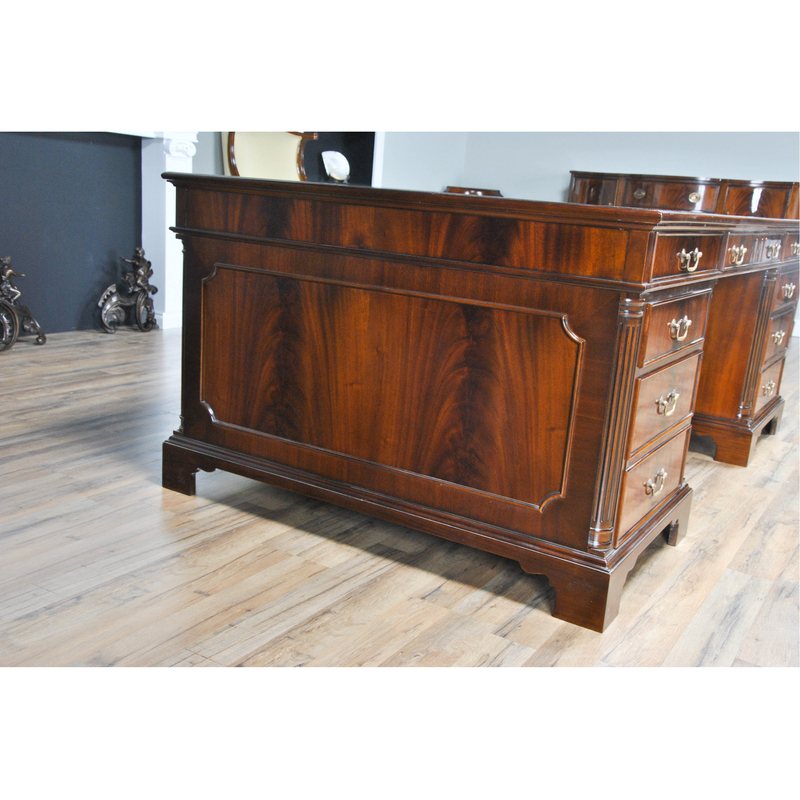 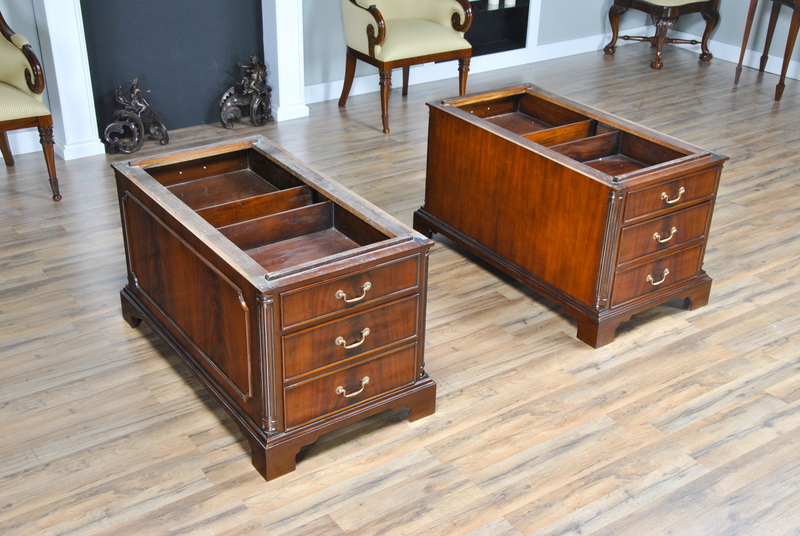 With two file drawers as well as four standard drawers, this Huge Partners Desk is both beautiful and functional. 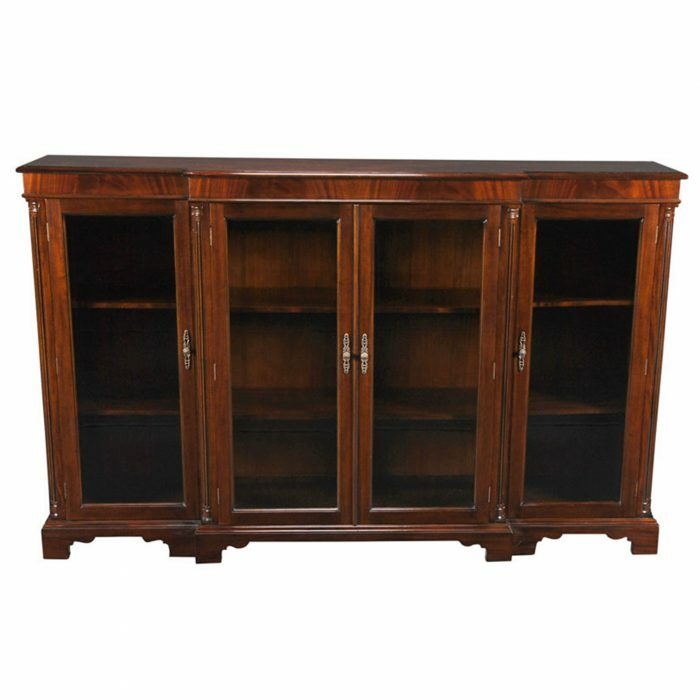 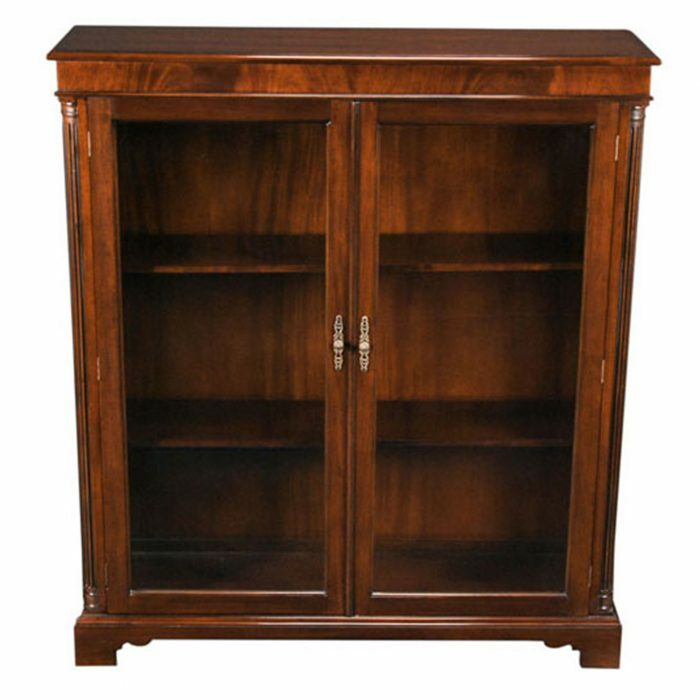 As a reproduction it is built using three part construction, the top and two pedestals separate from one another for shipping and installation. 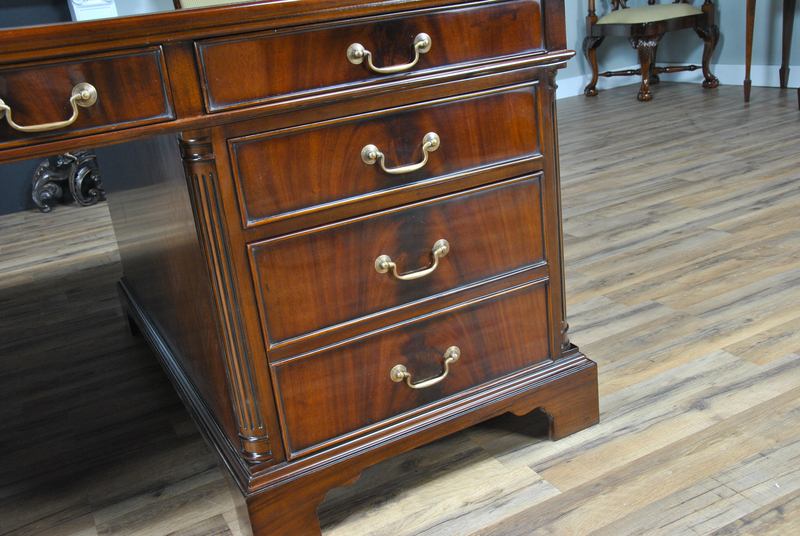 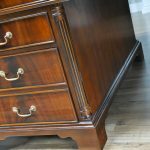 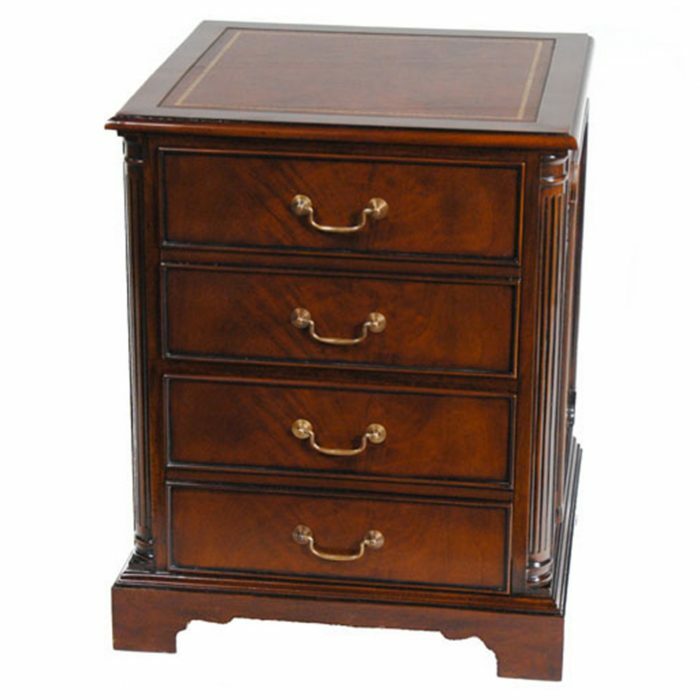 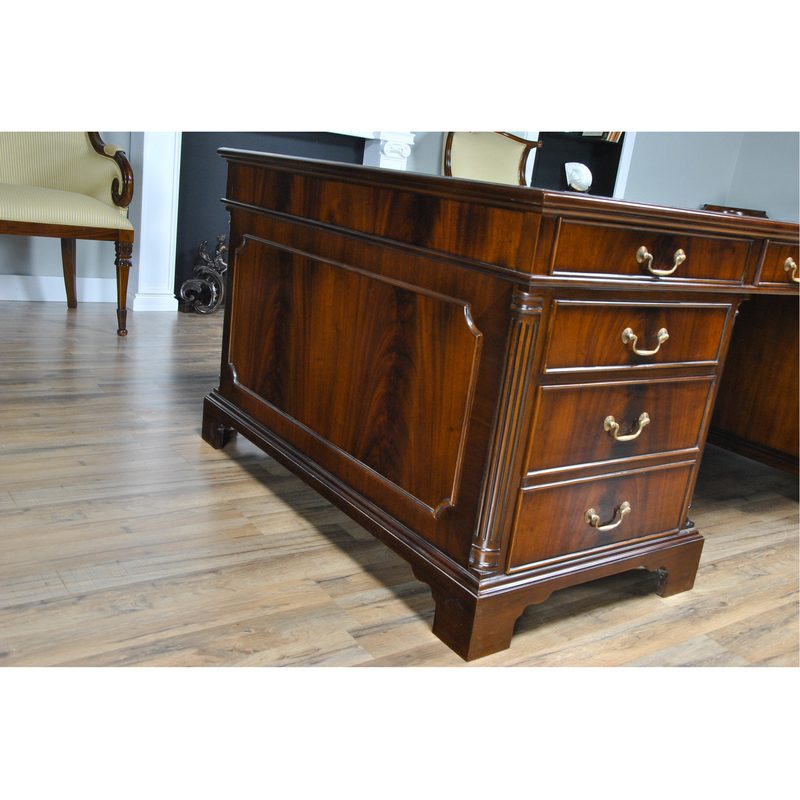 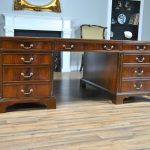 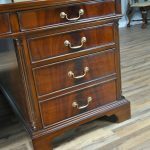 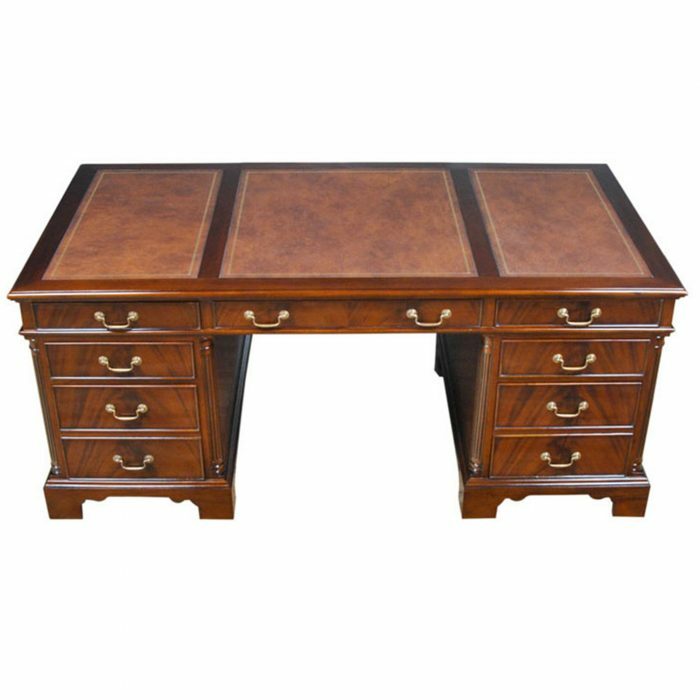 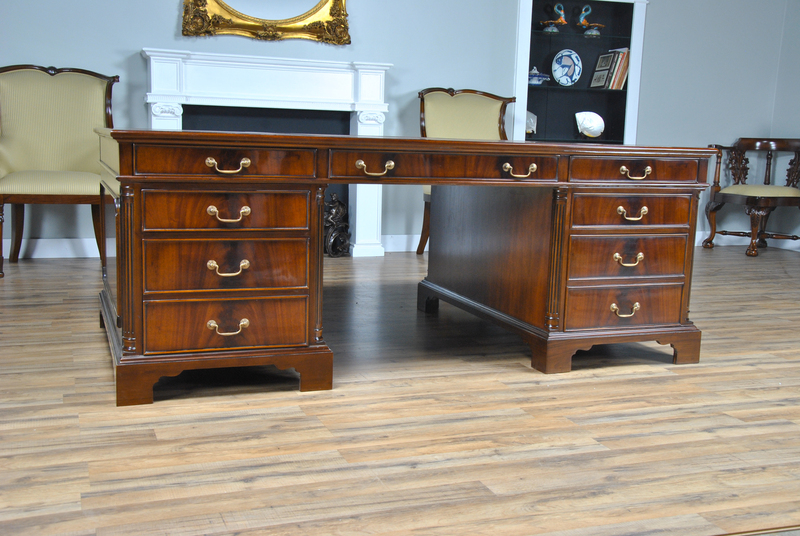 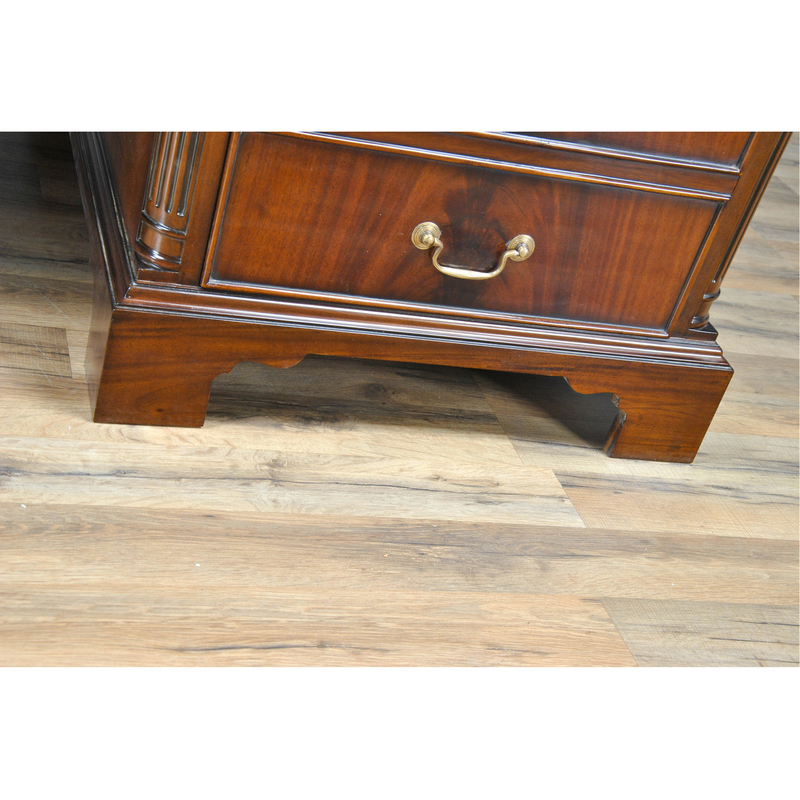 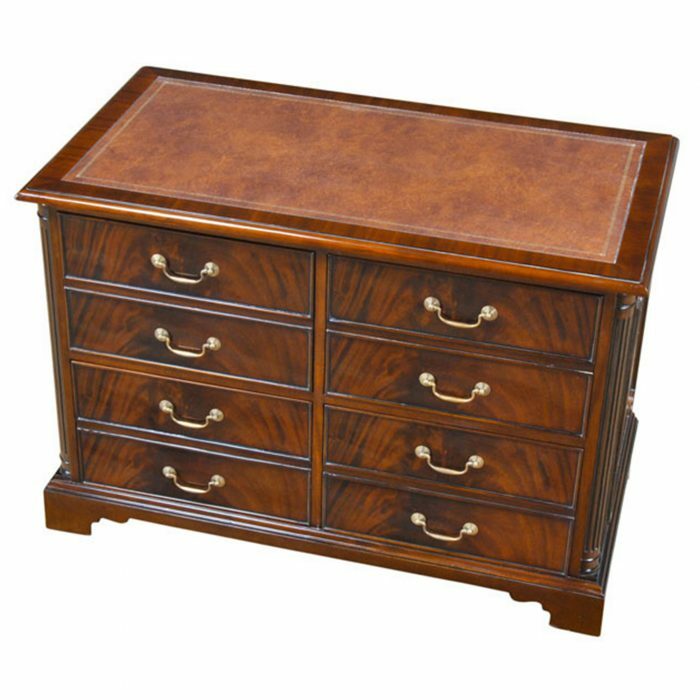 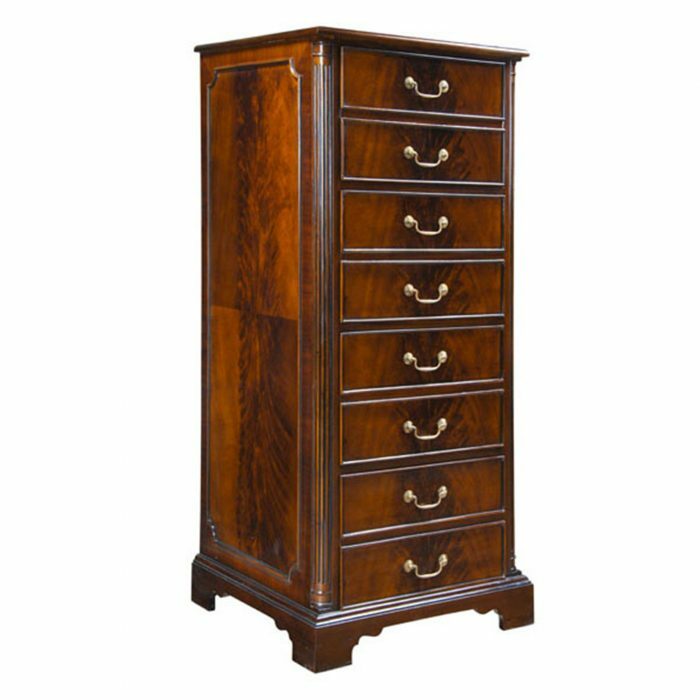 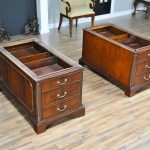 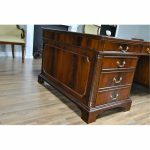 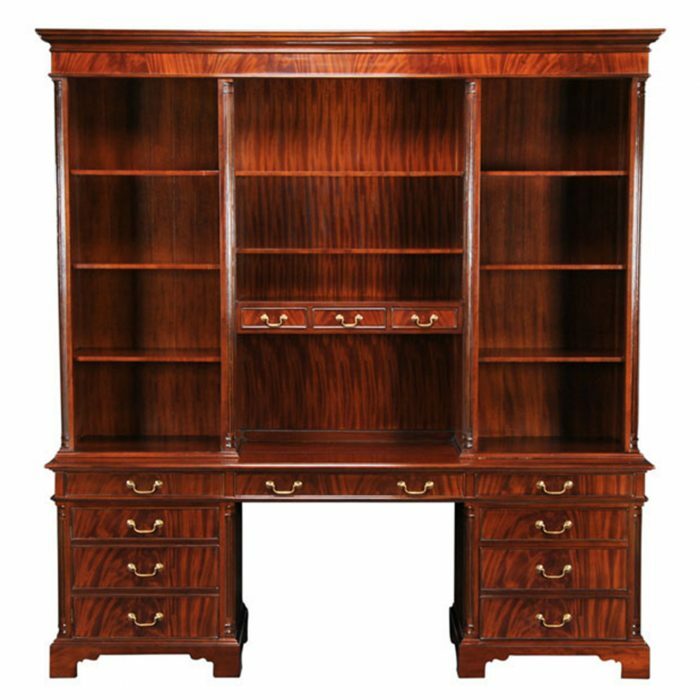 Great quality construction throughout the desk is typified by hand carved, reeded quarter columns, dovetailed drawers and raised bracket feet. 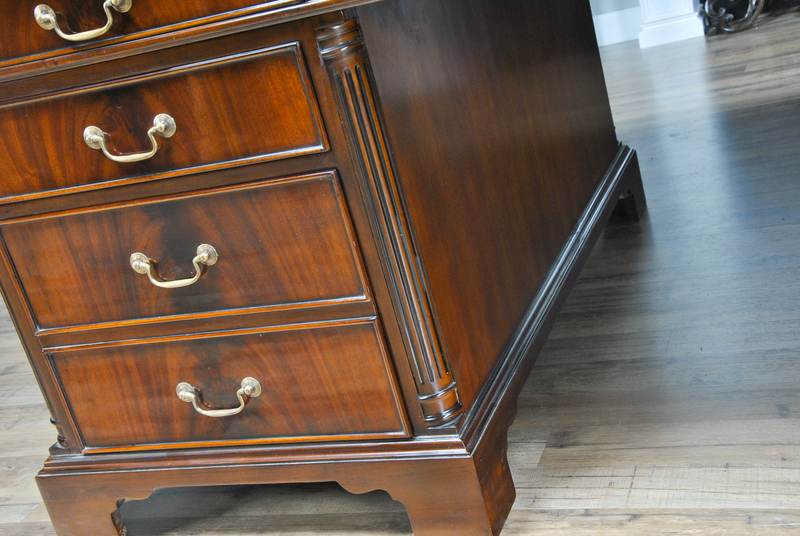 Kneehole is approximately 30 inches wide and 25 inches high.